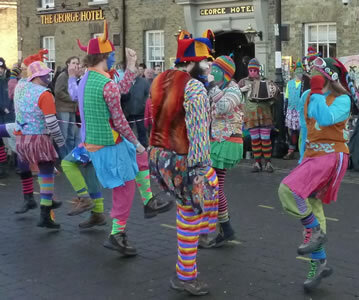 Whittlesey is a small market town in the Fenland district of Cambridgeshire in East Anglia (before artificial drainage techniques were used, the town used to be surrounded by low-lying wet, marshy areas known locally as fens). 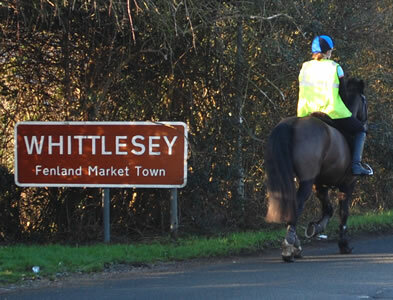 It is about 6 miles from Peterborough. 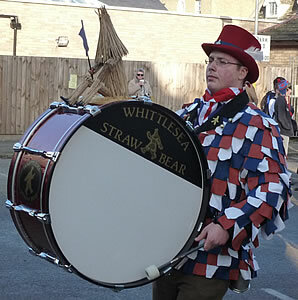 The town's name is also sometimes written as Whittlesea, and this spelling is used for the town's train station and usually for its most famous custom: the Whittlesea Straw Bear Festival. 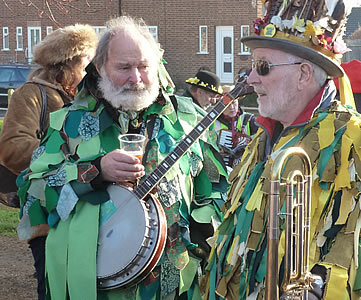 In the 1800's it became a custom in this part of England for a local farm-worker to be dressed in a straw suit and to be led around the town accompanied by musicians. 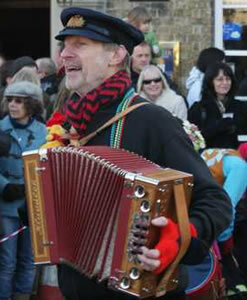 He would dance to music, and receive food, beer or money in return. 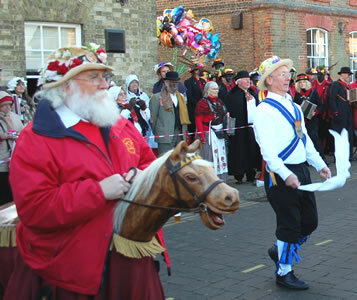 This happened the day after Plough Monday, when agricultural workers used to return to the fields after a break for Christmas (Plough Monday is the first Monday after Twelfth Night, which is always on 6 January). 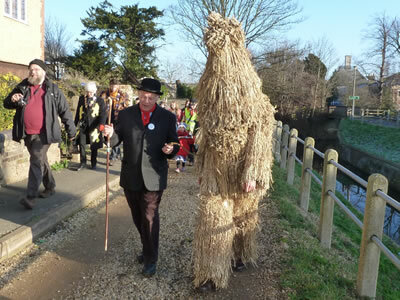 When covered in straw these men resembled the dancing bears which were led from town to town in medieval times, so the straw man is called a straw bear. 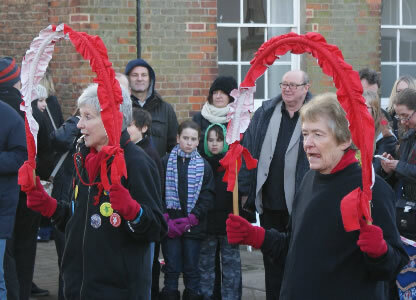 The custom died out in the early 1900's, partly because the police regarded it as a form of begging, but it was revived by the Whittlesea Committee in 1980. 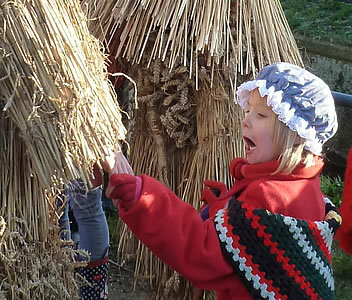 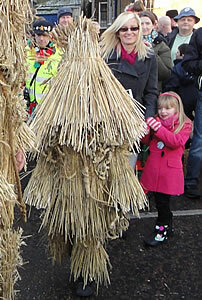 These days the Whittlesea Straw Bear Festival takes place annually on the second weekend in January. 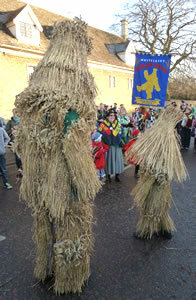 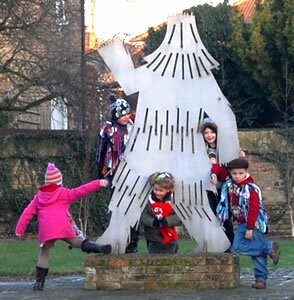 On the Saturday of the festival, the Straw Bear (now accompanied by a young boy dressed similarly) is led by his keeper around the town. 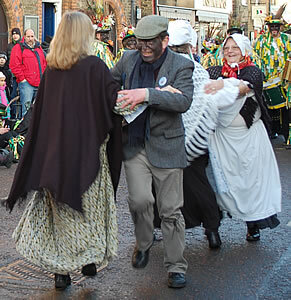 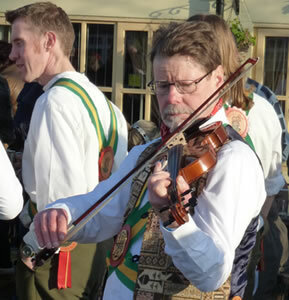 There is traditional music and dancing on the streets and inside some local pubs or halls. 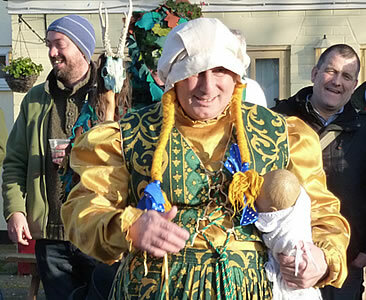 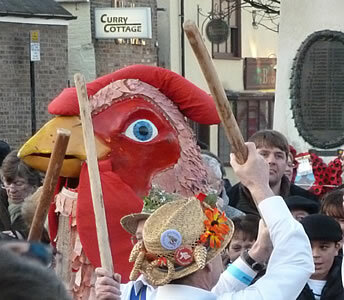 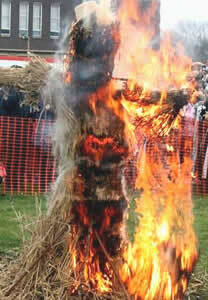 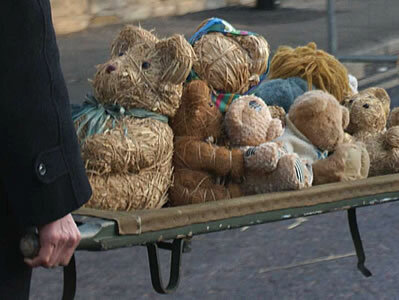 The festival concludes on Sunday, when the straw bear costume is burned in a special ceremony. 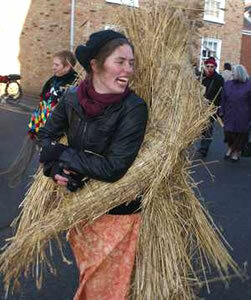 In some areas of northern and eastern England instead of a straw bear at this time of the year a plough was hauled from house to house. 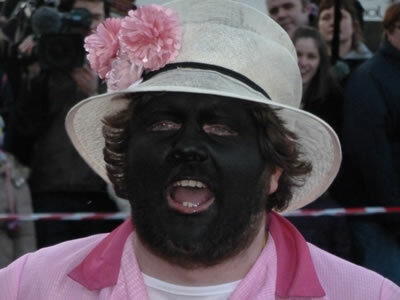 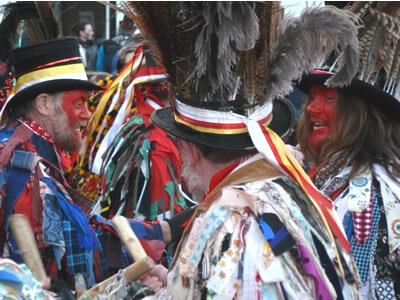 There are some similar customs in other parts of Europe. 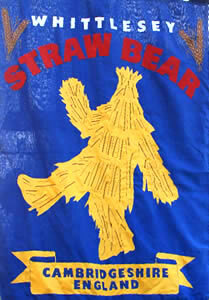 For example, in some agricultural areas of Germany a Straw Bear (Strohbär) joins the carnival processions before the start of Lent. 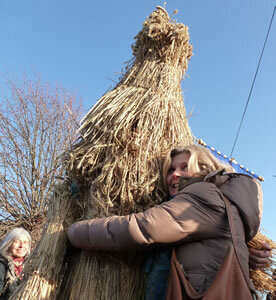 The photos below were taken at the Whittlesea Straw Bear Festival in 2012. 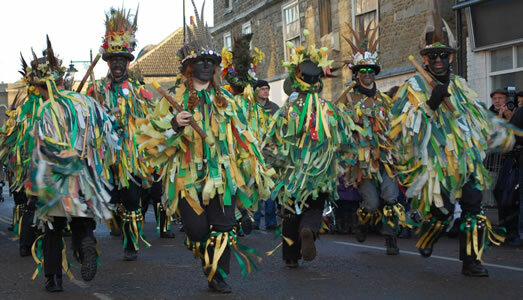 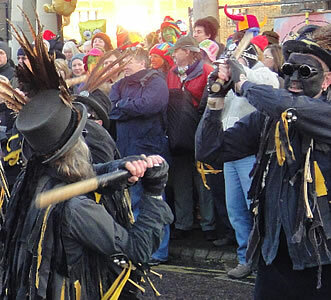 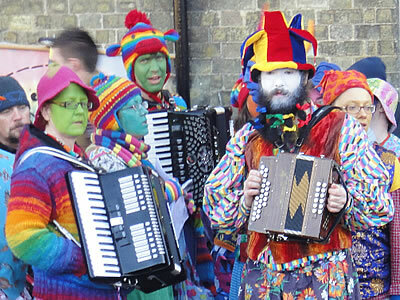 Traditional dance sides are invited to Whittlesey, performing outside the town's pubs and around the Market Place. 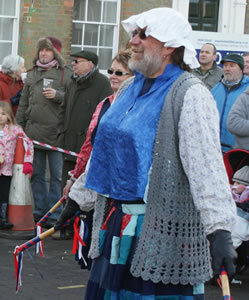 These include morris/molly/clog/sword dancers and others.